Los Angeles CPR has the best CPR training programs in Los Angeles, giving students Basic Life Support and Advanced Life Support classes through the week. LA CPR has high quality programs all taught by certified instructors, so trainees get the best hands-on and didactic training. All of the training programs are certification classes, wherein students need to pass a set of post-tests to get certified. Re-certification is also available with some of the programs, usually taking a shorter period of time to complete. The easiest way to enrol in a program is over the internet. The Los Angeles CPR website has an online application form prospective students can fill out with personal information and details regarding the program they want to take. Applications can also be sent through e-mail with the same details, same with telephone calls. If you plan on enrolling via telephone or in person, make sure to do so during business hours only. Any applications sent through the internet will only be processed during business hours as well. Certificates are awarded upon completion of a training class. They are valid for 24 months before they expire. Certificates that are near expiration can be renewed through a re-certification class. Los Angeles CPR does not renew expired certificates, take note. If ever your training credentials have expired before you signed up for renewal, you will have to retake the entire training program. Programs are classified under Basic Life Support or Advanced Life Support training. Trainees under BLS programs learn how to stabilize a victim of cardiac arrest and attempt to restore spontaneous beating of the heart. ALS programs teach trainees how to manage cardiac arrest in a clinical environment such as hospital, with complete equipment and medication. Heartsaver CPR/AED teaches students how to give 1-person CPR, basic first aid, and defibrillation. This is a 4 hour program; no re-certification available. Certification is optional for this class; trainees can opt out of the skill test at the end of training that certifies a student as a rescuer. This program is for the general public. Heartsaver CPR/AED (C) teaches students basic CPR, the same curriculum structure as the program for the general public, for healthcare providers (HCPs). It covers 1-person CPR, first aid, and AED as well. It runs longer, 4.5 hours, without an accompanying re-certification class. Post-tests are mandatory (practical and written exam). Basic Life Support teaches students about 1-person and 2-person CPR, first aid, AED, and the 2010 BLS guidelines from the American Heart Association. The program is for HCPs and lasts 4.5 hours. Re-certification is 4 hours long. Post-tests are mandatory as well. 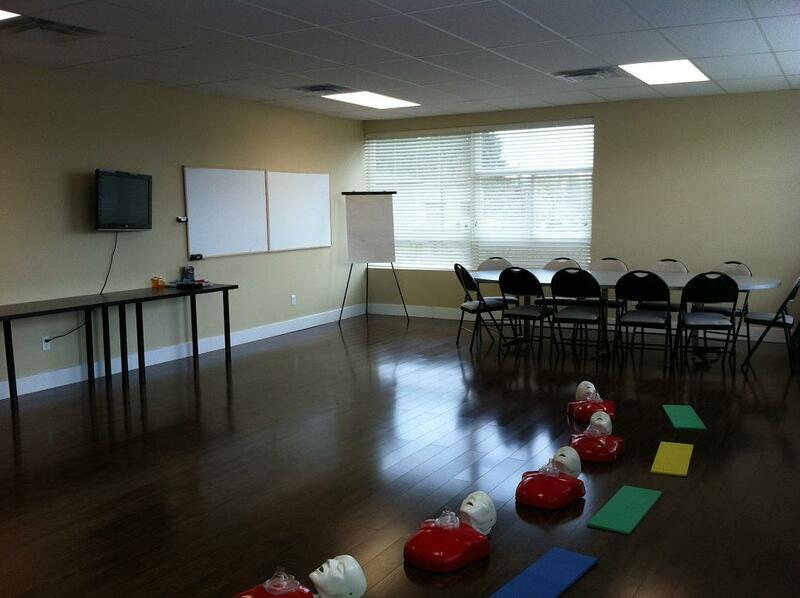 Advanced Cardiac Life Support is an ALS program completed over 2 days, with 16 class hours. It teaches trainees how to manage adult victims experience cardiac arrest. They are taught how to use equipment such as bag valve masks for adults, oxygen support apparatus, and adult pharmacology. Pediatric Advanced Life Support is an ALS program completed over 2 days, with 14 class hours. It teaches the same basics as ACLS, but for pediatric victims. CPR for infants, younger children, and older children are included in training, as well as pediatric assessment and pharmacology.